Click here to visit the Boehringer Ingelheim World Hereford Conference website. Hereford conference boosted with Boehringer Ingelheim sponsorship. 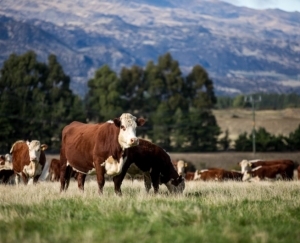 New Zealand Hereford breeders have welcomed the sponsorship of the World Hereford Conference by leading animal health company Boehringer Ingelheim, scheduled for New Zealand in 2020. 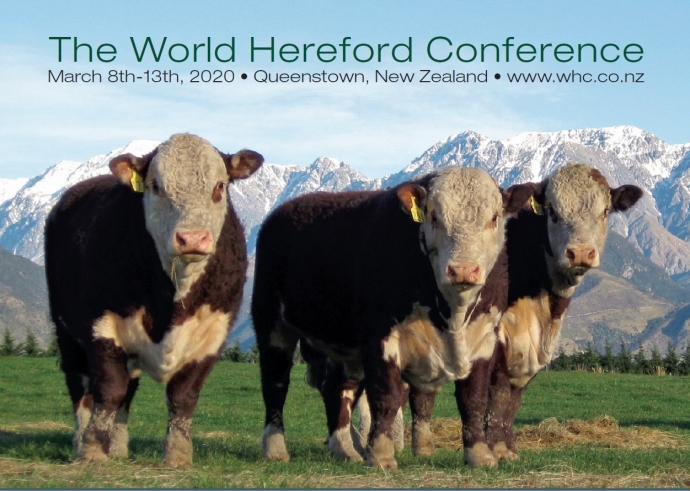 The four yearly event is a key date on any Hereford breeder’s calendar, with breeders from around the world expected to converge on New Zealand’s week-long event, scheduled for Queenstown in March of that year. Paul Fitzpatrick, Boehringer Ingelheim Animal Health livestock product manager says the opportunity to have naming rights to the conference is a huge endorsement for the long standing relationship the company has enjoyed with breeders throughout New Zealand. 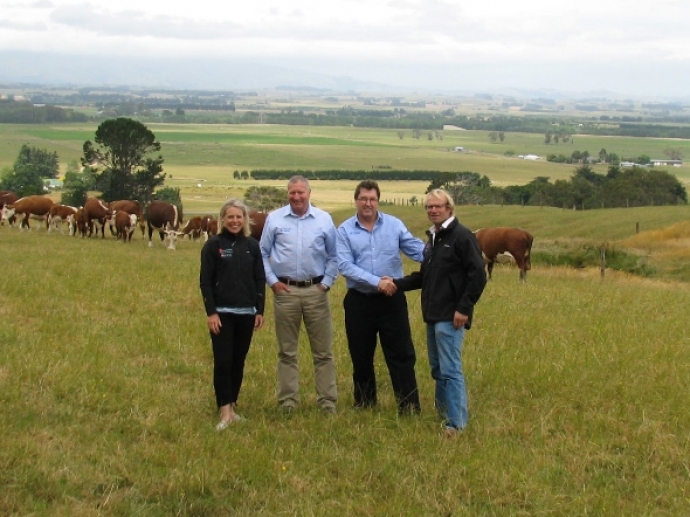 “We have built some very strong relationships with Hereford breeders from Northland to Bluff, and it made sense to nail our colours to the mast by taking the key sponsorship role for it. Boehringer Ingelheim products play an integral role in cattle health for many of these breeders. He said the conference’s direct link to hundreds of Hereford breeders from around the world provided an invaluable opportunity for them to re-connect with old friends and to make new contacts. 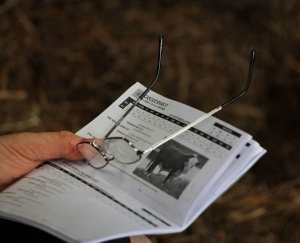 “The breeding industry is a fairly close family, with much of the business being done by people who prefer to meet face to face and eye up the person they are doing business with, as much as they want to eye the stock genetics they are often buying. New Zealand Herefords general manager Posy Moody said the sponsorship by Boehringer Ingelheim so early on in the organising process gives the WHC a welcome boost, helping the event get a profile early on in breeders’ busy lives. New Zealand Hereford stud owners also stand to benefit from visiting overseas owners, if past experience is anything to go by. Stu and Maria Robbie of Otapawa Poll Herefords near Eketahuna enjoyed some visits from overseas guests in 2004 who had been attending the Australian based WHC. “They came on over to visit New Zealand and we ended up with two big groups visiting, and some ended up buying quite a bit of genetics from us,” says Maria. This included stud owners in Denmark and Canada, with both enjoying national success from those genetics in later years. She is looking forward to a visit from her Danish clients, owners of Woodend Hereford Stud, and several groups from the United Kingdom. Posy Moody says the week long conference will place an emphasis on ensuring breeders get out and about on properties, getting plenty of opportunity to view stock, and to break into workshop groups to discuss breeding issues. Hereford breeders are urged to mark March 8th-13th 2020 in their calendars, allowing for some pre and post conference tours.